ST.HELENA.1971.SET OF 14. SG # 261-74..MINT NEVER HINGED. 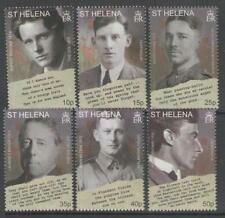 ST HELENA THE 1934 GV ANNIVERSARY SET OF 10 FRESH MOUNTED MINT, SEE SCANS. Both Shades of Halfpenny 17mm Overprint, Halfpenny 14.5 mm Overprint. Both Shades of One Penny & Three Pence & Four Pence Pale Brown wuth 16.5mm Overprint. SG 34 to SG 45. MINT Very Lightly Hinged - Full Original Gum (SG 35 alone is without gum). LEEWARD ISLANDS SG114b £1 lightly hinged. LEEWARD ISLANDS GEORGE VI £1 SG114b lightly hinged with fresh colours. SG 85 & SG 86. MINT Very Lightly Hinged - Full Original Gum. Catalogue Value £22 . SG 53, SG 54 & SG 64. MINT Very Lightly Hinged - Full Original Gum. Catalogue Value £17 . Add to Favourites. SG 17 & 19. Fine Used Catalogue Value £44 . Both Shades of Halfpenny 17mm Overprint, Halfpenny 14.5 mm Overprint. Both Shades of One Penny & Four Pence Pale Brown wuth 16.5mm Overprint. SG 34 to SG 43c. MINT Very Lightly Hinged - Full Original Gum. SG 53 & SG 64. MINT Very Lightly Hinged - Full Original Gum. made with love by. 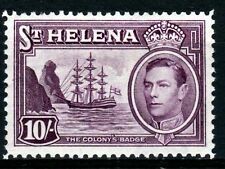 St HELENA George VI 1938 set superb lightly hinged. SG 66a & SG 67a. MINT Very Lightly Hinged - Full Original Gum. On Ordinary Paper. Catalogue Value £20 . Add to Favourites. SG 83 & SG 64. MINT Very Lightly Hinged - Full Original Gum. On Chalk-Surfaced Paper. Catalogue Value £20 . SG 89 & SG 91 MINT. MINT Very Lightly Hinged - Full Original Gum. Values Single Colour. Add to Favourites. Catalogue Value £29 . 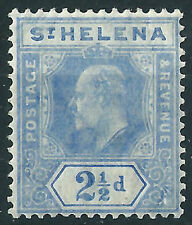 ST HELENA 1868-82 VICTORIAN SELECTION OF 4 ,SEE SCANS. 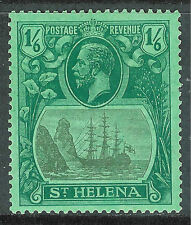 ST HELENA 1871-93 VICTORIAN SELECTION OF 8 ,SEE SCANS.